Our Election Engagement Fellows are students who get stipends or academic credit to work with college staff and student leaders and carry out our nonpartisan approaches on their campuses, helping their peers participate in America’s democratic process. In 2013, one of our first Fellows, Tonya McGinnis, led a team at Virginia Tech that registered 3,000 fellow-students in an election where the Attorney General turned out to be decided by 165 votes. This is a partial list of our 2016 Fellows, as not all provided bios and photos. But they were a powerful part of our team. 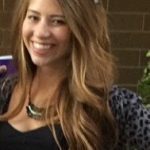 Marli Mayon is a transfer student from Scottsdale Community College and is in her first year at ASU, where she is majoring in public service and public policy with an emphasis in sustainability in the College of Public Service & Community Solutions. While Marli’s eventual goals include pursuing a career in law and policy making, she has a strong interest in both the Teach for America and Peace Corps programs, and she hopes the opportunity to serve will aid her in better determining her plans to positively impact the world. Marli is really looking forward to engaging millennial voters at ASU and learning more about the issues that matter most to her college student peers. David Saul Acosta is 22 years old. He was born & raised in Miami, Florida. He is the proud son of Cuban immigrants who fled tyranny in the 1970’s. Currently, he is a senior at the University of Miami, majoring in Political Science & Minoring in Business Management. He is passionate about public service & civic engagement – spear heading efforts on campus aimed at improving civic participation, through voter drives, outreach events & informative sessions on government, electoral processes & voting. Upon completion of his bachelor’s degree, he will be pursuing a career in local politics. 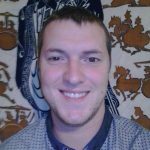 Alan Brock is a 3L law student at Stetson University College of Law. He hopes to use his law degree to help people. He is 35 years old and driven by a desire to create positive change in the world. The old adage to be the change you want to see in the world is a guiding force in his life. 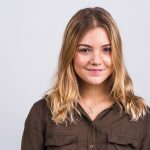 Monica Bustinza is a 21-year-old senior at the University of Miami studying political science, history and women gender studies. She currently serves as President of a non-partisan political organization, Get Out the Vote, Transfer Senator of the University of Miami’s Student Government, and Director of Curation for TEDxUMiami. She pursues her passions through her involvements in various organizations regarding political participation and hunger. Once she graduates the University of Miami, she will attend law school. Her ultimate goal is to hold a political office in the State of Florida. Jarvis Davis is 24 years old. He loves singing and being a help to people in need no matter what the problem is. With the passion of loving to help people, it has inspired him to become a State certified Social Worker. Daryl Franklyn was born on the Caribbean Island of St. Vincent and the Grenadines on the 24th of September, 1990. 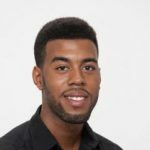 He competed high school in 2008, then studied Psychology and Geography at the local community college for two years before deciding to pursue an Associate in Science Degree in Nursing at Miami Dade College. Daryl is an avid volleyball player and was captain of his country’s national volleyball team for 5 years. He is extremely passionate about healthcare as it pertains to mentally ill individuals. Inspired by the words of Dr. Martin Luther King, “Our lives begin to end the day we become silent about things that matter,” Daryl has from a very young age been interested in speaking up for those who have been disenfranchised, misinterpreted, excluded, discriminated against, or silenced. Unfortunately, mentally disabled patients are oftentimes overlooked in our society and that is something Daryl would like to see addressed in an attempt to end the revolving-door-effect of patient care for these individuals. He would like to specialize in the field of Psychiatric Nursing upon graduation from Miami Dade College. Daryl is now serving as the President of the Mu Beta Tau (Minority Brothers Together) at Miami Dade College Medical Campus. Jason Gonzalez is 22 years old and from Miami Florida. He was raised by a single parent along with his two younger siblings. Ever since childhood he is someone who has endured a lot, not only for his mother in helping out around the house and taking care of his siblings, but also the environment he was in. 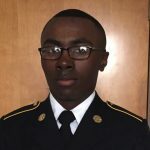 When he joined Miami Dade College back in 2012, his mind was set to get a bachelor’s degree in Law enforcements to use that degree to either join a police department in Miami or join the U.S Army. Either way, he always pictured himself in a uniform serving those that he encountered and impacts their lives in a positive way. His time is coming up soon and he is currently in the process of talking to a recruiter in regards to being an officer within the army. He loves working with the community, especially the areas that are known to either have criminal activity or homelessness. He feels that with events such as school supplies giveaway, food drives, or building playgrounds, he can make a difference. He wants to bring positivity to people that need change and showed them that if they work together, they can make a huge impact within the community. He believes Civic Engagement is essential in his campus because the students must get informed on how their community is being affected by those that are in office as well as getting informed on the local elections that affect them heavily. 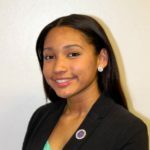 Brianna Nicole Hernandez is a 20 year old junior studying political science, history, and sociology. She will be attending law school in the fall of 2018 and she aspires to work in corporate and constitutional law. She wants to practice law; however, she does not want to remain in the field. One day, she will be sitting on Capitol Hill, or dashing around an embassy, or rustling through papers in the Truman Building, perhaps one day she will receive ambassadors in the Rose Garden. Wherever she may end up, her passion for international relations, voice enhancement, and social change will ring out loud and clear. Diamante Jones was born and raised in Miami, Florida. He is the last child to the most amazing parents. He is a fashion student at Miami Dade College where his major is Fashion Design and Merchandising. He truly loves being creative and different, and fashion has always been an outlet for him growing up. Currently, he is the president of MDC Pride (LGBTQ) club at the Wolfson Campus. As president, he tries to encourage his members to get engage and take action on/off campus. He later had the opportunity to attend the Clinton Global Initiative University. There, he met some of the most amazing and inspirational people from all over the world. He attended sessions where he learned about Management, Critical Thinking and Evaluation where he looks to apply these skills to the fellows’ position. Right after CGIU, he kicked off the Wolfson Campus first ever Pride Week. Pride Week is a four day event series that addresses issues and showcasing the culture of the LGBTQ community. Events ranged from: Pride Expo, Discussion Panel, Pride Awards Ceremony, and the first ever Drag Show on any MDC Campus. But, it gets even better from here. Later, he attended graduation where he finished his Associate in Arts Degree in Computer Science. Soon after that, he, along with MDC Pride, received the Presidential Volunteer Service Award for the first time in the club’s two years existence. At the moment, he is currently pursuing an Associate in Science degree from MDC new Fashion Program. And hopefully, he will get the chance to keep growing as a professional with CEEP. 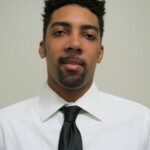 Calvin Jordan is a senior at Lynn University in Boca Raton, FL studying communication. He hopes to use his education to craft campaigns for the government in order to reform the ailing education system; he also would like to use his skills to pursue diplomatic communication. Calvin believes that doing campus engagement work on his campus is so important because he knows that his voice matters not only now, but in the future as well—and he would like for others to realize the same. Krystal Lanier embodies the characteristics of a pragmatic, persistent and passionate leader. Krystal eagerly takes advantage of the many opportunities offered by Miami Dade Honors College. Recognizing her abilities in public speaking, leadership and advocacy, she acts as an active member of several organizations such as: The Mu Epsilon Chapter of the Phi Theta Kappa International Honor Society’s Vice President, Student Government Association’s Public Relations Director, and the Political Science Club’s Secretary. As a global citizen, Krystal zealously serves her community each weekend and encourages her peers to show genuine appreciation for their community. Currently, focusing on her Applied Leadership Project, she envisions constructing a workshop series showcasing the collective issues that affect society in an appealing manner. Collaborating with the Institute for Civic Engagement and Democracy and a various amount of North Campus’ organizations, Krystal hopes to promote democracy and awareness to this nation’s future. After earning her associates degree in Political Science, Krystal plans to transfer to George Washington University to major in Political Science and minor in Organizational Sciences and Communication. She then plans to attain her Master of Public Administration at the Trachtenberg School of Public Policy. Richard Matthews is 43 years old. He is a Healthcare Administration major at Florida Atlantic University. He chose to major in HCA because he would like to be a director of a biomedical equipment shop in a VA or large hospital. As a veteran, two of his passions are ending veteran homelessness and reducing the number of veterans who commit suicide. Engaging students to vote is important to him because he believes everyone should make their voice heard. He hopes to get more students registered, educated on the issues, and following through by voting early or on election day. Maria P. Munoz is 19 years old attending Miami Dade College. She has a strong passion for social justice, the environment, and wildlife conservation. After completing her Associate’s degree, she hopes to transfer to the University of Florida to pursue a Wildlife Ecology and Conservation major and eventually go to vet school. She aspires to one day be able to save and rehabilitate injured wildlife and release them back into the wild. 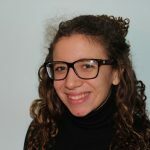 Maria believes doing election engagement work at her campus is important because students have such an essential role in the elections and to keep democracy alive. Rose Norton is a 19 year old, aspiring pediatrician attending in her second year at Miami-Dade College. A Biology major, she has come to learn the importance of science in all areas of life. She plans on transferring to the University of Florida, where she can begin her journey of research. She wants to conduct medical and chemical research on stem cells and new infectious outbreaks like the zika virus. As students we have the potential to provoke change in many ways, being that we are the world’s future leaders. Voter engagement is so important on campus because it empowers students to illustrate their voice in the community and stand up for what they believe in. Arsum Pathak is a 23 year old graduate student from India. At USF, she is pursuing her doctoral degree at the School of Geosciences in Environmental Science and Policy. John Powell is a native of Jamaica, West Indies. He is currently a senior at Barry University where he is pursuing a BSc. in Political Science with minors in Spanish and French. John is extremely passionate about international affairs, politics, and foreign languages. In the near future, he would like to pursue a Master’s degree in International Development and Global Policy with a concentration on U.S. Foreign Policy in Latin America and the Middle East. 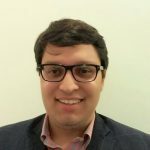 He is excited about being a CEEP Fellow at Barry University because it gives him an excellent platform to engage, mobilize, and educate the students about the importance of having their voices heard this election. Destiny Reyes is a 21 year old senior double majoring in English and Philosophy with a pre-law focus. She hopes to graduate with honors and attend an Ivy League law school before becoming an attorney. She hopes to also write fiction, and is working on her first novel. 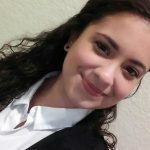 Liliana Valdes-Gamboa is a 19 year old student entering her second year at Miami Dade College. She currently serves as the Student Government Association President of the Hialeah Campus. She is working on her Associate in Arts degree in Political Science and plans to graduate in the Spring 2017 semester. She will then transfer to Florida State University in the Fall where she will receive her bachelor’s degree in Political Science and then proceed to attend their College of Law. In the future, she hopes to help people of low resources with legal services. Indigo Williams is 18 years old and has a strong passion for the environment, volunteer work, and knowledge. She aspires to become a medical scientist and travel around the world to provide healthcare to those suffering and in need. 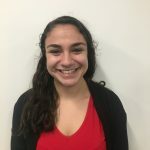 Being involved in election engagement work on my campus is so important because she believes that the rate of young adults voting participation can be increased by reaching out to other students and providing them with information on how they can voice their concerns and views to the government via voting. Taylor Odekirk, 20, is a sophomore at the University of Iowa double majoring in Journalism & Marketing. 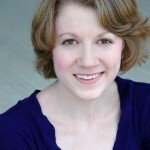 She loves to write and is passionate about learning new ways to creatively and clearly communicate with an audience. She would someday like to have a career in public relations and/or marketing. She believes doing election engagement work at University of Iowa is so important because students here need to know that their voice matters. Because the campus is so large, they have a great opportunity to reach a lot of students about the importance of voting. Katherine Paul, 20, was born and raised in Boone Iowa. She is currently attending Iowa State University, a mere stone’s throw from where she grew up. Katherine studies Political Science, Religious Studies, and German after spending a year in Austria as a Rotary Youth Ambassador. She is fueled by the desire to understand the world through the eyes of diverse sets of cultures, religions, and lifeway’s in order to better communicate on the path towards conflict resolution in a local and international context. Upon graduating in the spring of 2019 she plans on studying law to further this mission. Candice Crutcher is a junior at Eastern Michigan University. Her major is Political Science with a minor in Public Law and Government. She spends her time outside of class volunteering with EMU’s college chapter NAACP to help get students registered to vote. She has been doing this for two years now as well as educating on voting rights for students. She hopes to finish her degree and use it to further educate the youth on the importance of the electoral process. 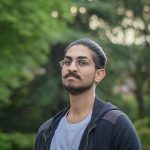 Harsha Devaraj is a senior at the University of Michigan, studying Art & Design and Political Science. 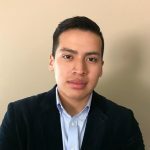 Being an artist gives him the tools to engage an audience, and being an international student of US politics allows him to use those tools in unique and creative ways. Harsha believes that voters are distanced from the consequences of their political actions by partisan rhetoric, the growingly lucrative nature of public office, and one-sided news media. 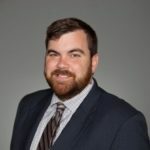 He is excited to be part of CEEP’s efforts to combat this by getting students engaged and involved in politics at the national as well as local level. We are working to directly strengthen our democracy, and he is proud to be a part of this venture. 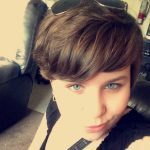 Kelsey Disher is 21 years old and currently working towards her BSW. She is passionate about making the world a better place and advocating for those that cannot speak for themselves, especially children. Chris Gregory, a senior in Wayne State University’s College of Engineering Technology program is a jack of all trades. His ambition and commitment are only exceeded by his ability to prioritize and multitask. As a Navy Veteran, he brings leadership and management skills to the table of multiple student and community organizations. He is currently serving as Captain of the Formula Hybrid SAE team, Webmaster of the Engineering Student Faculty Board, served as prior IEEE branch Director of Student Activities and Seminar Coordinator and now currently serves as the branch’s Treasurer, Founder and current President of Warrior Innovations ( a growing Makerspace community on campus), Student Assistant for Anderson Venture Institute, prior Student Senate Director of Government Affairs and currently serving as Secretary, certified Southeastern US Master Naturalist, Founder and prior Director of a Green Sanctuary Equal Exchange/Fair Trade store at his prior congregation and currently starting a new one at his current congregation. He is a man of action and thrives in stressful situations. He hopes to work for an innovative automotive company or start his own business in the heart of Detroit after he graduates. Nia Joyner is a 19-year-old junior from Oakland, California. She is pursuing a major from the Gerald R. Ford School of Public Policy and a minor from the Stephen M. Ross School of Business. 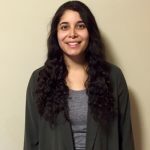 During her time as an undergraduate intern at the State of Michigan Headquarters of the American Civil Liberties Union this summer, she took a particular interest in their new Let Me Vote campaign and corresponding Student Voting Made Easywebsite launch. Working hands on with this project gave her both the drive and the expertise to make a difference in student impact for this election cycle. She is thrilled to bring this enthusiasm and experience to Campus Election Engagement Project. Nia loves engaging with student organizations and is heavily involved on campus. She is the Secretary of her Pre-Law and Public Policy Professional Fraternity, Kappa Omega Alpha, and the Vice-Chair of the ACLU Undergraduate Chapter at the University of Michigan. She is a member of the Black Student Union and the Black Undergraduate Business Society. In the future, Nia hopes to combine her interests of policy and business into a meaningful profession. Tazia Miah was raised primarily in Hamtramck, Michigan by a single mother, along with her two sisters. Having watched her mother persevere against challenging odds, she understood the importance of persistence regardless of the labels people placed on others. 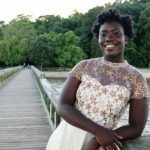 Striving to never give up, now at the age of 19, she is studying International Studies with the subplot of Global Environment and Health for her Bachelor’s Degree in hopes of attending a MPH/MD program. She hopes to become a doctor in pediatrics or the emergency room who provides quality care and listens to the individual voices of the patients. 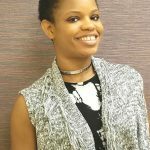 In the public health field, she is strongly interested in nutritional sciences and epidemiology to also be able to provide assistance on a more global scale. 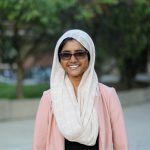 In her second year at the University of Michigan — Ann Arbor, Tazia is a Peer Advisor in the Health Sciences Scholars Program. As a peer advisor, she is able to mentor first year students with their transition to college, academic progress, and pre – health resources, which she feels was crucial to her own college transition. 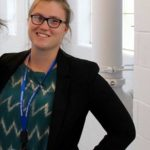 After transferring to Eastern Michigan University in 2015 to continue studying Political Science, Annie founded a non­partisan/ grassroots student organization focused around campaign finance reform. This summer she was chosen to represent Student Government as the Director of Governmental Affairs for the 2016­2017 academic year. When she is not organizing or doing research, she enjoys spending time with family and friends. She likes to paint, read, and bake for fun. 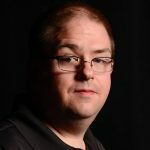 Michael Olinger is a 33-year-old journalism major from the University of Nevada, Reno, where he has received the Paul A. and Gwen F. Leonard Scholarship, the Edward W. Scripps II Scholarship and the Reno News & Review Scholarship. 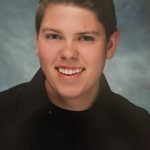 He has interned with The Fresno Bee, producing two Hearst Journalism Award nominated articles. 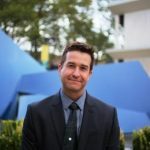 In 2016 he served as the Fred W. Smith Chair Fellow with News21, a national news fellowship operating out of the Walter Cronkite School of Journalism and Mass Communication at Arizona State. While there he produced two investigative articles focused on voting rights that were published by The Washington Post and NBC News in addition to several other outlets. Michael is a political science minor and has cared deeply about politics from an early age. He hopes to work for The Washington Post or Salon when he graduates, creating feature stories and investigative pieces with depth and impact. He is a massive nerd who spends his off hours either attending, reviewing, or writing movies. Photograph by Brandon Quester, News21. 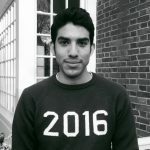 José Rodarte-Canales is a Dartmouth senior currently doing a transfer term at his home state university, the University of Nevada, Reno. He plans to graduate from Dartmouth College in June 2017 with a degree in History. In the future, he hopes to work abroad before returning to the U.S. to pursue a graduate degree. He has been involved in activism and community organizing on campus and in his community. He’s passionate about racial and socioeconomic justice and believes that it’s imperative to secure the full and equal participation of all Americans in the political process. When he’s not thinking of ways to make the world a more just place, you can find him perusing modern art or sipping on single origin coffee and reading the New Yorker. Bonnie Hensley is 61 years old, born and raised near Washington, DC. 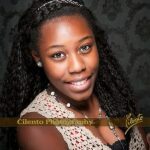 She is attending her 1st year at Truckee Meadows Community College in Reno, NV majoring in Business. Previously, she attended Craven Community College in New Bern, NC where she earned an Associates degree in computer programming. Upon graduation, Bonnie’s career goal is to become a CPA. 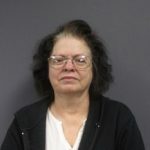 Bonnie is the widow of a US Marine Corps veteran and is interested in veteran issues and the welfare of older Americans. Timira is a junior double-majoring in political science and foreign languages (Arabic). 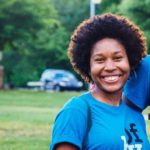 Originally from Durham, NC, Timira is currently serving as the Director of Diversity Outreach for NCSU’s Student Government, and she is a former intern with Common Cause NC. 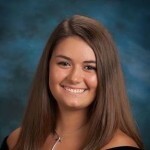 Ann is a rising junior from Hillsborough, NC majoring in international studies. She is president of the college’s history & politics club and was a leader of the non-partisan Meredith Votes program in 2014. In past elections, she has been a campaign volunteer and poll monitor. Thomas is a rising senior from Durham, NC majoring in political science. Thomas is also ImpACT Team Co-Chair in the ACT (Appalachian and the Community Together) Office and a former orientation and alternative break leader. Sydney is a rising senior social work major from Charlotte, NC. 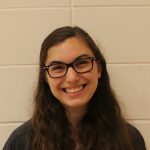 She is also a Civic Engagement Fellow in UNCG’s Office of Leadership and Service-Learning, and she is a part-time AmeriCorps member with NC Literacy Corps. 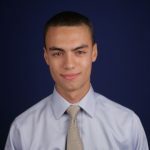 Nicholas is a second year student from Trenton, New Jersey who is Co-Chair of Student Government Senate at Cato Campus. 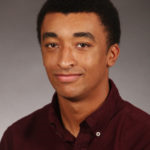 Devon is a sophomore double-majoring in history and political science. 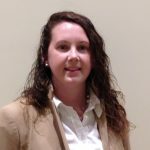 Originally from Hope Mills, NC, Devon is an SGA Senator and officer in UNCP’s political science club. 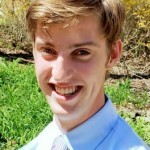 Matt is a rising junior from Denver, Colorado majoring in political science and history. Matt has been active in Student Government since his first year at WWC and recently was part of a team that re-wrote the SGA Constitution. He is an active member of the voter engagement issue team. Patricia is a rising sophomore from Oakland, California majoring in justice & policy studies. She is a Bonner Scholar and a student leader of the Prison Education Initiative and has served as a poll worker in California. 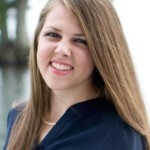 Rachel is a rising junior from King, NC majoring in political science. 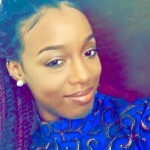 She is a leader of the recently formed political science club on her campus and an SGA representative. Margaret is a rising senior from Ahoskie, NC majoring in political science and sociology. 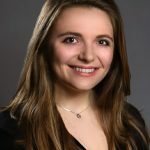 She has been an orientation leader, and SGA representative, and led campus voter engagement efforts in 2014 through her work with Pi Sigma Alpha, the national political science honor society. Harrison is a rising sophomore from Greensboro, NC majoring in business administration. He is an engagement guide in the Office of Community and Civic Engagement, an SGA senator, and a leader in his fraternity. Luke is a sophomore majoring in political science. Originally from Hickory, NC, Luke is Student Senator and chairs the Student Government’s Committee on Government Regulations. He is also active in the political science club and is a University Scholar. Cassie is a senior double-majoring in political science and international studies. 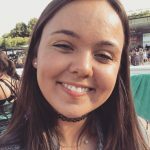 Originally from Gainsville, Florida, Cassie has served in student government as VP of community service, was on the leadership council of Seahawks Links, and held a leadership role in a regional association of residence halls. Elise is a senior from Norfolk, Virginia, who is studying History and Pre-Law. She is an engagement guide with the Office of Student Leadership and Engagement where she focuses on voter engagement and education equality. Nicole is a Nursing student from Durham, NC. She is president of the Gamma Beta Phi honor society and a member of Phi Theta Kappa, and she will serve as the NC/DTCC College Debate Delegate this summer. Safaa is a rising second year student from Raleigh, NC majoring in computer and electrical engineering. 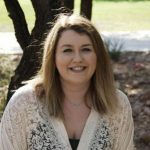 She is an SGA Senator, a member of Phi Theta Kappa honor society, and an active community volunteer through the Office of Volunteerism and Leadership. Kirk Bampton, 27, Public Affairs major at Columbus State Community College. He is a member of the Phi Theta Kappa honors society and co-founder and Chairperson of a campus organization. Kirk was recently the proofreader for a book on election protection and is in the process of editing two other books. 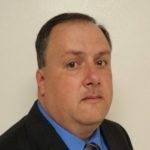 He also has experience volunteering for local and national political campaigns. Prior to settling in Ohio, Kirk lived in the United Kingdom, New Zealand, and China. Hailey Berliner, a twenty one year old sophomore at Owens Community College pursuing a degree in Urban Planning and Geographic Information Systems [GIS]. 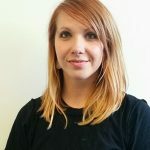 A recent transplant from Melbourne, FL, she has previously worked with HIV/AIDS outreach and LGBT rights organizations. 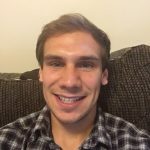 Steve Carnahan, a 25 year old Political Science student at Columbus State Community College; who enjoys rock climbing, cycling and has a deep love for the environment. It’s his love for enjoying the outdoors that drives him to political action and by registering voters with CEEP he hopes that we may find a greater voice in our shared interests. 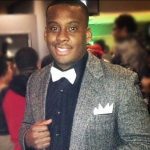 Christian Cooper, a Social Science Education major with a minor in Political Science at Wright State University. Democracy is taken for granted in our society today, and we need to fulfill our constitutional duty and vote for our local, state, and national representatives and leaders. 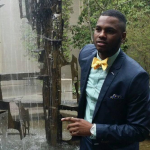 Dorian Durant, a senior attending the University of Cincinnati majoring in Mechanical Engineering Technology. Member of Omega Psi Phi Fraternity Inc and the National Society of Black Engineers. Dorian looks forward to being a part of CEEP in order to help students become more aware of what they need to do to become responsible voters. 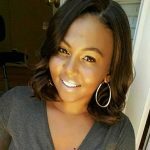 Leslie Edwards, is 19 years old and a second year Human Nutrition – Dietetics major with a minor in Sociology at The Ohio State University. She serves as a peer mentor and is involved in pancreatic cancer research. Leslie cannot wait to begin working with CEEP! Tess Gerdemann, is currently a sophomore at University of Cincinnati where she studies International Politics and Marketing/Sales. She is currently the Student Government Director of Federal Affairs and spends her free time watching TEDTalks or trying to decide where to travel to next. Hannah Good, a 21-year-old Political Science major at Kent State University graduating in Spring 2017. Hannah is also an active brother of Alpha Phi Omega – Epsilon Psi, plays cello in the Stow Symphony Orchestra, and is a Student Service Leader at Kent State. Charles Kennick, a nineteen year-old sophomore at Miami University from Parma Heights, Ohio. Double majoring in Anthropology and Political Science and with a minor in History. 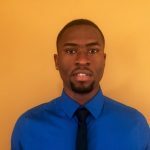 Charles is passionate about studying state and local government and urban planning and hopes to attend graduate school to become a bureaucrat or law school after graduation. Connor Mcmahon, is from a small farm outside Mansfield, Ohio and graduated from a small high school. 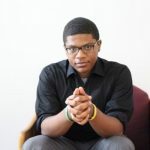 He’s currently a 4th-year student at Ohio State University majoring in Accounting and Management Information Systems. He’s looking forward to participating in CEEP’s Fellowship because the democratic process has become a personal passion. Madeline Melin, is a sophomore at Kent State University, majoring in Business Communications with a minor in marketing. 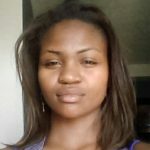 She is from Chicago IL and loves running as well as getting people involved in something that she truly cares about. Derek Potts, a 20 year old sophomore at The Ohio State University. He is majoring in International Studies and History with a minor in German. 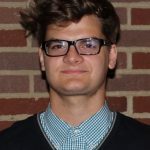 Derek was born and raised in Hudson, Ohio and has always had an interest in civic engagement, particularly in helping others become more civically involved. John Ryan, age 19, Eagle Scout, Political Science & Economics Majors at Bowling Green State University. 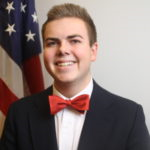 He’s a member of multiple political organizations around campus and looks forward to bringing enthusiasm and political engagement to his entire campus. Kia Smith, 30 year old senior at Cleveland State University pursuing a Bachelor Degree in Health Science with a minor in Chemistry. Upon graduation Kia intends to apply to Physician Assistant programs in Ohio, Pennsylvania and Georgia. Uliana Spiridonova, is originally from Russia and a senior at Cleveland State University majoring in Public Administration with a double minor in Political Science and Dance. She’s a Student Government Association Senator At-Large, member of the CSU Dance Company and Viking Dance Team. 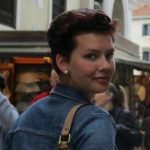 In the future, Uliana plans to pursue her M.A. in Political Science and work in the political field. She loves travelling and has lived in Russia, China, Vietnam, India, Holland and the USA. Stanton Williams, is a junior attending Bowling Green State University majoring in Political Science and minoring in Sociology. He grew up in with bi-partisan parties and has taken a little from each party to form his own political view. Stan recently interned with a media company where he managed a $10,000 budget media campaign and recreated the company’s interview guides. Donnell Allen is 20 years old and a sophomore majoring in Criminal Justice at Montgomery County Community College. At one time he worked at two different private security companies while being a full time student. He quickly found out that school itself is a full-time job and that he must dedicate time and effort to achieve his goals. He is a person that believes one must have resiliency. Despite minor setbacks and obstacles, he remains focused and willing to put forth the effort. He is currently in a Law Enforcement Program that engages with the community and train cadets to prepare for the police academy. Being in the PA Army National Guard is such a great honor. He likes how he can have a civilian career alongside a military career. Networking has always come easy to me. He associates himself with different organizations and has the ability to meet new friends daily. Aileen Assumma is a junior at West Chester University of Pennsylvania and an English major. She is a federal work study for WCU and responsible for the success of Dub C Votes, a nonpartisan election engagement initiative on campus. Through Dub C Votes, Aileen created a video encouraging voter registration and participation which has been viewed many times across campus (click here to see!). She is also on the Executive Committee for her school’s chapter of Alpha Phi Omega Service Fraternity. Troy A. Bundy, is 49 years old, married and the father of five daughters. His major passions are to assist and try to give back to the community, like it was done for him. He is in college earning his degree in social work because he likes to try to help people with their problems. At present at the Community College of Philadelphia he is the President of the Student Government Association with a 4.0 GPA. While campaigning for student office one of his platform statements was informing fellow students about the importance of voting and what it means to vote. He is looking forward to working to help inform the students at the Community College of Philadelphia. Many students on campus feel that their vote does not count and he wants to inform that it indeed does. Ramean Clowney is a 23 year old, West Philadelphia native. 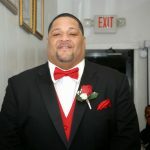 Growing up a product of Pennsylvania’s child welfare system, he had to overcome enormously challenging conditions to become a dedicated leader and servant to his community and peers. His college endeavors are to receive a Bachelor’s degree in political science and minor in business administration. Currently, his next step at the Community College of Philadelphia is to complete an Associate’s Degree in business. His long-term professional goal is to take a seat in Philadelphia’s City Council and eventually run for mayor. Given an interest in serving and enhancing his community, the Campus Election Engagement Project (CEEP) is an initiative that attests to my future endeavors. Allowing young adults to understand how crucial it is to vote, in not only a national level but, more importantly on the local level is critical as the latter really decides the impact and change you wish to see in your community. That will be his mission in CEEP, which is to assist college students in not only registering to vote but, also becoming more knowledgeable about its long-lasting impact as a full and contributing citizen to his/her community. 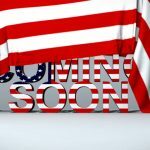 Moreover, expressing that this is our moment to decide if they want to see a better Philadelphia, a better Pennsylvania, and a better country, then their vote could be the deciding difference. California Campaign Consultants (CCC) is a multidisciplinary organization at California University of Pennsylvania that teaches students the basics of professionalizing campaigns, including: campaign strategy, voter mobilization, and debate techniques. The club does our best to provide programs and events to encourage students to engage in politics and inform them of current events. 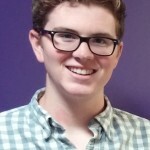 Two campus leaders laid the groundwork for the unique group, which is funded by the Student Association, Inc.
Nathan Emery is 19 years old and in the Huntsman Program in International Studies and Business at the University of Pennsylvania. International relations have interested him since high school, where he participated in Model UN, and for business he is thinking of a Marketing or perhaps Business Analytics concentration. 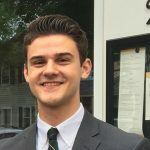 He hopes to work for a firm that makes a difference in the world so he can be passionate about the company and work he is doing, perhaps in the marketing department. Election engagement work is so important to him because he has studied international relations and knows how important the right leaders are in managing economics and society. He wants his peers to help us pick the right leaders instead of doing nothing and potentially hurting our county. Isabella Farinas, as a child was exposed to the political process and the importance of giving back to your community. Her mother who is politically active dedicated her extra time to several local political campaigns. Her childhood included attending political events and spending time volunteering for candidates running for office. Currently, she is a dual enrollment student, attending an online Cyber Charter School and Montgomery County Community College (MCCC). At MCCC, she is a Political Science and Physics major. Cyber School provides her the opportunity to dedicate time to developing her passion, politics. She is extremely passionate when it comes to civic engagement and community service. As a democracy, we are given the privilege to participate in the governing and electoral process. In 2016, there are so many avenues for access and participation. She believes that today’s youth lack the confidence and the tools necessary to make informed decisions. As a result, our electoral system is unresponsive and closed to the issues that impact college students. Each and every citizen must be educated and empowered with the confidence and knowledge to be an active participant in the political and governing process. Thomas Fisher’s major passion in life is serving others. He believes the best way to feel fulfilled is to spend free time helping those in need. He conducts most of his community service through the Leukemia & Lymphoma Society. To date, he has helped raise over $11,000 for the organization to invest in new life saving treatments. When he is not volunteering, he enjoys spending time with his family and friends, enjoying the world that we live. 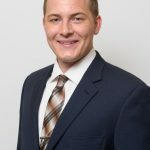 After obtaining his bachelor’s degree in political science, he intends to attend law school and eventually become an attorney with the Legal Aid Network that provides attorneys free of charge for civil cases to those in need. He feels completing an election engagement project at Shippensburg University is important in order to ensure the voices of all of his fellow peers are heard. Too often the younger demographic feels excluded from decisions that affect them, but through voting it does not have to be that way. We all have the right to vote, and we should all exercise that right to create the society that we want to live in. Mijuel K. Johnson is 25 years of age and a native born resident of the City of Philadelphia, PA. He was born 05 /17 /1991 and currently attends the Community College of Philadelphia and will be transferring to LaSalle University in the spring. 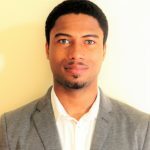 His major passions are Politics, History, Urban Planning, Environmental Sustainability and International Development. He believes resolutely in the values of democracy and that in the words of Thomas Paine “ We have it within our power to begin the world a new.” Election engagement on the campuses of the Community College of Philadelphia is imperative as the student body thereof is representative of the city in miniature the students, faculty, and staff hail from across the city and beyond and can harness their influence to engage not only the campuses of CCP but other area colleges and universities and broad community. 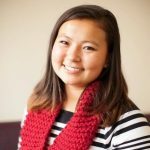 Kimberly Pham, 24, is a community activist and a member of the National Council of Young Leaders, which focuses on advising and working with elected officials and others in power on the issues and solutions that affect the opportunity youth population. 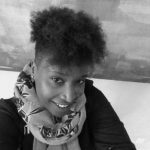 Kimberly is also a member of the Project U-Turn Collaborative, which focuses on learning and implementing best practices and strategies for opportunity youth in the City of Philadelphia. She is a junior student attending Temple University majoring in social work, who has interest in public policy and social transformation. Kimberly has also supported her city on another collaborative effort called “Digital On-Ramps” focused on improving the system of training and workforce services in the City of Philadelphia. She received the very first Distinguished Alumni Award from District 1199C Training& Upgrading Fund, NUHHCE. She enjoys spending her time mentoring young people in her community. Kimberly continues to strive as a person for the people. She is devoted to change the injustice and inequalities in her community and country. 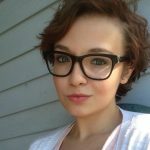 Ellie Sullum, 18, is a first-year Philosophy Major at West Chester University of Pennsylvania. 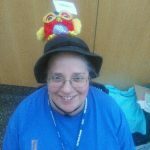 She is a member of the Honors College, Forensics Speech and Debate, and WCU Hillel. Ellie plans on building a career as an activist and community organizer. She believes civic engagement empowers the voice of the individual, and strengthens the power of communities. Shalom Werkheiser was born on April 6th, 1998. She is 18 years old and a third semester freshman at Northampton County Community College. She majors in Political Science and plans to transfer to Temple University to double major in Political Science and Psychology. Future plans include attending graduate school to study Social Psychology. She would like to become a public relations specialist in her early career and move on to be a researcher in a think tank. She enjoys politics and raising awareness on a variety of social topics. Engagement is so important because it surrounds millennials and will assist in shaping our future. It is vital that we start taking responsibility of our nation and the policies we must live by. 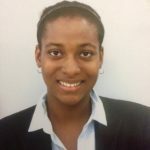 Samantha Boateng is 17 years old and is a Freshman at the College of William and Mary. She is interested in pursuing a degree in either English or History with the hopes of working in International Development. 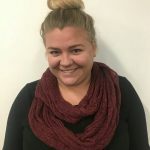 Samantha believes that election engagement is important to ensure that all students’ voices are heard in the upcoming election and that they are aware of everything that is going on politically as well. 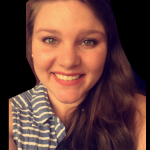 Ashton Brower is a 26-year-old Social Work Major at Christopher Newport University. She wants to attend graduate school at VCU after getting her Bachelors degree. She is passionate about volunteering, especially at her church and with children. She feels that registering voters, getting pledges to vote, as well as educating students on her campus is important because students voices can have a huge impact on an election – if they turn out to vote. 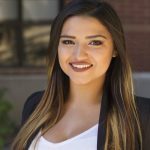 Jessica Diaz is a 21-year-old Virginia Commonwealth University student double majoring in History and Political Science with a concentration in Government and Politics. She hopes to attend VCU for graduate school to earn a masters in teaching and then begin teaching Social Studies in Richmond Public Schools. She grew up in Richmond and is very excited to be doing election engagement on the VCU campus to engage students in this wonderful community. While there is a lot of focus on the national election, she hopes to also engage students on the importance of local elections. Richmond has so many exciting local elections coming this November and it’s important for students to know how the decisions made by the Richmond local government affects them. Leah Fisher is 20 years old and hopes to be a Social Worker on the community level, working on policy, and large scale change. Election engagement on campus is very important because college aged kids typically have the lowest voter turnout. College aged kids are the future, and voting and being involved in the election is one way that they can influence the future, and use their education to make changes. 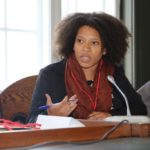 Nikki Duncan-Talley is a a wife, mother of two, student, and advocate. She received her Bachelor of Arts in History in 2002, and after having two daughters and a wedding, went back to school at Tidewater Community College. 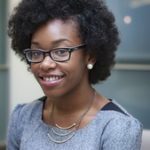 She initially went back to school to get her Associates of Applied Science in Paralegal Studies, and to make a decision on attending Law School. After attending and being extremely involved in campus, and even receiving an offer for sponsorship in the Virginia Bar Law Reader Program she decided that she wanted to acquire a Master’s degree in Political Management and Public Policy to become a strong force in her community. Sumra Qadir is a senior at Virginia Commonwealth University studying political science, hoping to become an attorney one day. Her passions are traveling, reading, hiking, photography and her religion, Islam. She also enjoys eating at different restaurants around the city of Richmond. Sumra decided to participate in this election engagement work because she wanted to become more involved in this upcoming election. She was eager to learn more about the process of voter registration and voter engagement on campus because it is so important to get fellow classmates to become apart of this world-changing event. Also, Sumra had experience interning with politician Dan Gecker last year, and thought she could bring more to the table when it comes to organizing and engaging in events. Thiaa Rahman is a 26-year-old senior at Norfolk State University; she will be graduating in December 2016 with a degree in Political Science. 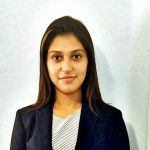 In August 2017 Thiaa will be attending law school, upon graduation she will begin her law career with work in public interest law such as civil rights law, non-profit law and constitutional law. She plans on building a impactful career within a 5-10 year range in public law before maneuvering into a career of politics. 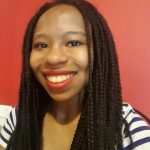 Claudette Woodhouse is a 23-year-old History major seeking Teacher licensure in Social Studies at Old Dominion University. 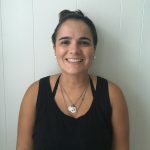 She is a non-degree graduate student seeking a teacher licensure in Social Studies who has a passion for civic engagement and promoting civic awareness in her respective communities. In her spare time she has an extreme passion to be involved in the development of youth. Her ultimate career aspirations are to become a principal or superintendent while still working with the public sector, specifically non-profits. Claudette finds election engagement work on her campus extremely important. Her quote, “Nothing is the same, but everything is connected,” represents her belief that political apathy in youth needs to be reversed and hopes that through her engagement on campus she can help her peers connect the dots to see the importance of participating as informed citizens in our country’s political system for the betterment of all people and future generations. 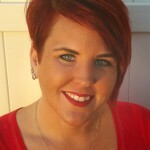 Kimberleah Bledsoe is a full-time student at Milwaukee Area Technical College. 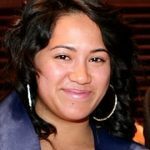 She is currently studying meeting and event management and hotel in hospitality management. 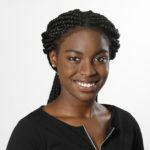 She aspires to open a nonprofit organization in Milwaukee that services the community in the area of economic development, financial literacy and homeownership. She is doing election engagement work on campus because she knows how hard her ancestors fought and sacrificed for her to have the right to vote. As someone who appreciates our constitutional rights and civil liberties, she understand the importance of voting and getting as many people engaged in the democratic process. Allyson Brunner is 25 years old and a UW-Milwaukee student. Her passions include advocating for those who may need help finding their voices, encouraging hope and resiliency to children who live in poverty, and creating equal opportunities to improve quality of life for all humans. In the future she hopes to hold an elected position within Milwaukee to represent the vibrancies and diversity the city has to offer. She would also love to found a successful international non-profit organization that advocates for human rights worldwide. Allyson feels college campuses are a place to explore who you are and find out what kind of world you want to leave when you’re gone. 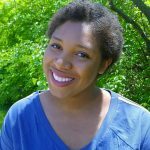 UW Milwaukee helped her to find her voice and individuality through education and unparalleled experiences. By taking on her new position as a Campus Election Engagement Fellow, Allyson’s excited to bring excitement; compassion and a judgment free environment to help students, faculty and staff find their voice starting with a simple conversation about voting. 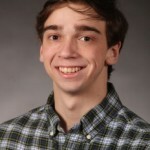 Matt Lindberg is a 21-year-old Senior at Marquette University. He is a Political Science major with a minor in Social Welfare and Justice. After graduation in May, his plan is to stay in Milwaukee and hopefully find a career that will allow him to be engaged with the city and its people. He hopes to continue committing his time toward elections and voter outreach. Election engagement work is so important to Matt because he feels it provides citizens with the opportunity to decide the direction of their neighborhood, city, state, and nation. Voting is democracy on its most fundamental level, and Matt believes our country cannot truly flourish if its people do not vote. Nastacia Smith is 20 years old and just started her junior year at UW Milwaukee. 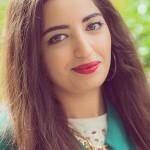 Her major is Journalism, Advertising and Media Studies ,with a focus on Public Relations. She is minoring in Political Science, German and Communication. Nastacia hopes to work as a Lobbyist someday or for a politician, that she believes in! She is inspired by the fact that everyone needs to know their rights and find empowerment in help people find their voice.